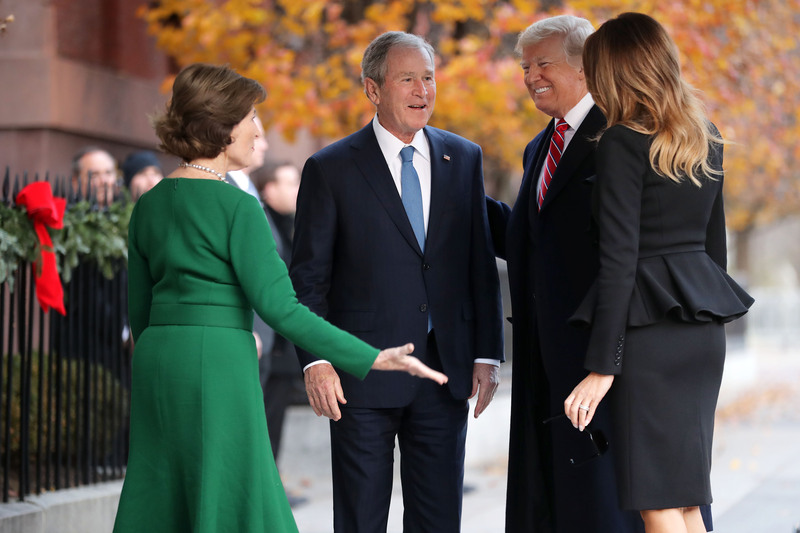 President Donald Trump and first lady Melania Trump visited the family of deceased former President George H. W. Bush Tuesday afternoon. 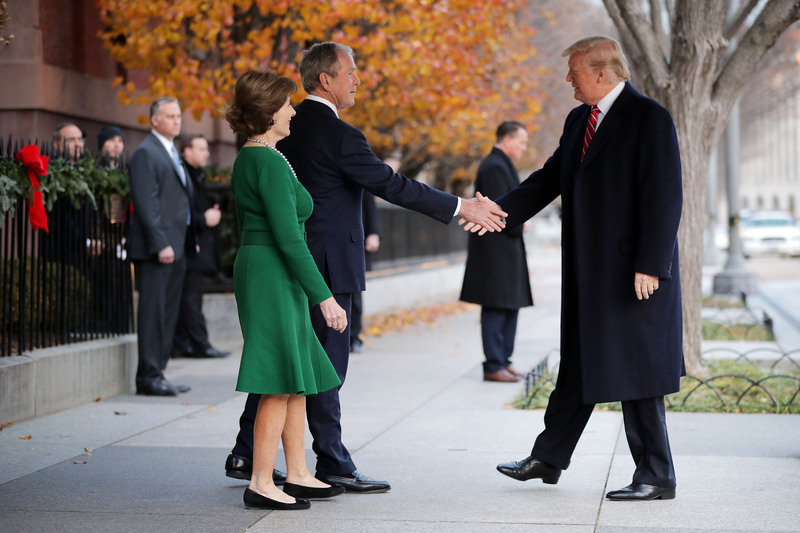 The Bush family is staying at the presidential guesthouse as H. W. Bush’s casket lies in state within the U.S. Capitol rotunda Tuesday as the public pays its respects. The former president will receive a state funeral Wednesday at the National Cathedral. Afterward, his body will be flown back to Houston, Texas, on Air Force One. He will then be loaded onto a train and make his way to College Station, Texas, where he will be laid to rest at the George H. W. Bush Presidential Library and Museum on the campus of Texas A&M University.